Toilets are a necessary installment in any home, but how do you know when yours is in need of replacement? It can be a tricky thing when you aren’t sure what factors actually raise red flags and which are simply a nuisance. It can be hard to pin down, but there’s no need to fret. 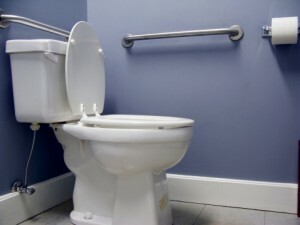 Today we’re going to be going over some of the signs that you need a new toilet. Ready to dive in and learn more? Let’s do it. Obvious signs that you need a new toilet. Sometimes the answers to our questions are staring us right in the face. For example, if you see cracks in or on the bowl of your toilet, then you might need a new one. This kind of damage isn’t merely cosmetic; it could be exceptionally dangerous to the flooring of your bathroom. Cracks in your toilet can lead to major leaks and no one wants that. Another obvious sign that you might need a new toilet is if the toilet looks very old and weathered. An old toilet isn’t just an eyesore; it’s a pain for your water bill. Older toilets are more likely to use water inefficiently. Subtle signs that you need a toilet replacement. Do you find yourself calling out for repairs in your bathroom fairly often? Older systems need a lot more maintenance than new ones, and this is going to end up being quite costly as the years go on. Rather than draining your funds in micropayments, a replacement for your bathroom’s fixture will solve your problem. You should also look for a rise in your water bill. As stated, old fixtures can lead to a lot of water usage that you will end up paying a lot of money to keep up with. Why repair and pay premium when you can simply replace the toilet and start saving? Is it time to replace your toilet? We can help with that. This entry was posted on Friday, July 1st, 2016 at 7:42 pm. Both comments and pings are currently closed.